BEHIND STARS AND UNDER HILLS will be a Dungeon Adventure with detective elements and animal people. It puts emphasis on story and atmosphere, on interaction with NPCs (dialogues) and exploration. You will play as a woman searching for her father, a famous discoverer whose last expedition went wrong a decade ago and is missing ever since. The game is developed by Rat King. The Indie Arena Booth of Gamescom 2017 was of course home to Rat King studio’s first showcase of their project “Behind Stars and Under Hills” and we were of course there to play it and also talk to Jana Reinhardt, who is one of the founding members of the development studio behind the game. The studio was founded by two people, Jana Reinhardt and Friedrich Hanisch. Apart from them, there are also a couple other people that help with music and writing for the game. The studio has existed for seven years now and the game itself has been in development for eight months now. “The game is very much like Minecraft, but also it is not. We are basically just using the voxel graphics style because it is simple to work with,” explained Jana while talking about the game and how easy it was to have something like the voxel style in order to accelerate development through the unity game engine. The game revolves around a young girl and her struggles of trying to find out what happened to her father who had gone on an expedition in the past. Her own expedition is funded by various individuals who all turn out later to be the very same ones that are trying to sabotague her mission for truth. “We were very influences by games like Ultima Undeworld when it came to the tech specifics and by other games in general for the narrative and the general feel of the quests in it,” said Jana. There are no quest markers and the game is meant to feel and look simplistic as well as atmospheric. “We are trying to direct our focus on addressing issues like sexism, racism, etc. through the game and its characters,” Jana told us while explaining how the story and the feel of the game is when it comes to communicating with other characters within it. “It is more about the people and the relationships, rather than anything else,” said Jana. The next step for the studio, from what they told us, is to now try and finish up the game by completing the story and adding all the extra bits in between that are needed in order for it to be complete. 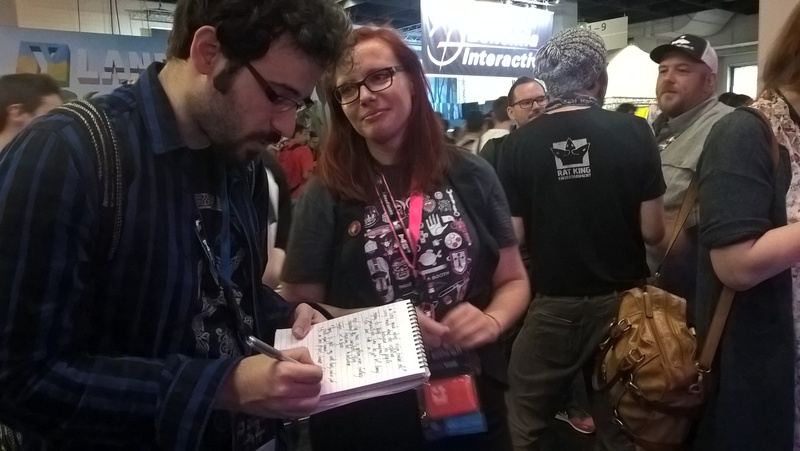 Releasing the game will probably take at least another year or so from what Jana said and she also continued to explain as to how she has so much work load because of the multiple jobs that she does, that it is sometimes hard to focus on just one thing, however much she loves what she does. Very much like other indie developers, most of the team is working part-time and trying to finish it up so that it can go public at some point.